to Get Better, More Youthful Looking Skin! 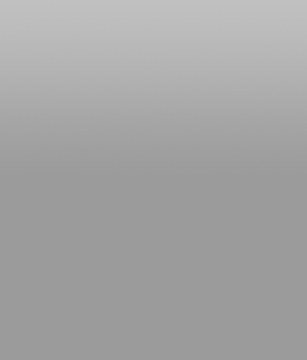 The RF Ultra Facial uses RF Energy technology also known as Thermage�. RF Energy (Radio Frequency) is safe, FDA Approved, non-invasive and permeates deeper down into the Dermis, stimulating fibroblasts to help grow Collagen. See Collagen Skin Growth picture below. The results can be phenomenal; greatly reduced fine lines & wrinkles, tighter/smoother skin, reduced pore size, and over-all skin rejuvenation for a younger appearance! There is virtually No-downtime and you can resume most activities immediately! This is a quick way (60 minutes) to help you get better, more youthful looking skin! This is an amazing treatment! Quick & Easy - Only 60 Minutes! You Can Wear Make-up Immediately! 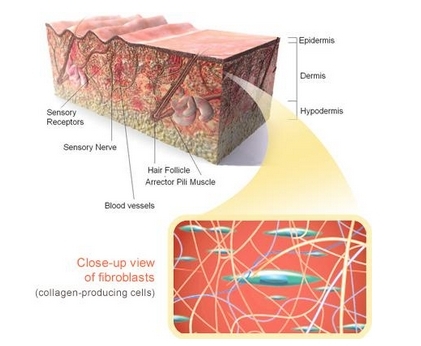 Under the Epidermis lies the Dermis, this dual-treatment allows the protective barrier is broken, the normal (physiologic) process of wound healing is immediately set in motion, a set of complex biochemical events takes place in a closely orchestrated cascade to repair the damage. Fibroblasts grow and form a new, provisional Extracellular Matrix (ECM) by excreting Collagen and fibronectin. In contraction, the skin is made smaller by the action of myofibroblasts In the maturation and remodeling phase, collagen is remodeled and realigned along tension lines giving fresh, even and more youthful skin. It is not painful during or after a treatment. I recently had the new RF Ultra Facial...the procedure was very comfortable and didn't require any downtime. Within a few days I noticed my skin looked and felt more firm and most of my fine lines & wrinkles were gone. My skin has never looked better and I'll definitely be getting another RF Ultra Facial again!! For Maximum Results; We Recommend a Series of 4 Treatments. Results Last Up to a Year or More. What Can I Expect After One RF ULTRA FACIAL Treatment? After your first RF ULTRA FACIAL Treatment, you will begin to feel the difference in your skin as it gradually becomes softer, smoother and rejuvenated. Fine lines around your eyes and acne scars will noticeably fade, along with uneven skin color and the brown spots caused by aging and sun exposure. Your skin should feel tighter and you will have an over-all younger appearance. After your first RF ULTRA FACIAL Treatment, you will begin to feel and see the difference in your skin after just a few days as it gradually becomes softer, smoother and rejuvenated. Fine lines around your eyes will be reduced. 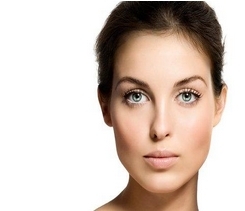 Your skin should feel tighter and you will have an over-all younger appearance. How Long Does the RF ULTRA FACIAL Results Last? Results last up to one year or more. If you do 4 - 6 treatments, the results will last longer. As with any treatment, some professional ongoing skin maintenance (facials, LED Treatments etc.) will help...as will as a good home care regimen with Beautify� Skin Care products. What Can I Expect After a Four RF ULTRA FACIAL Treatments? Your skin will take on a distinctly youthful and healthy appearance. your skin will look smoother and more refined. Fine lines & wrinkles will be greatly diminished. Pore size will be reduced. Skin with be tighter. You will appear even more youthful. How Long Does the RF ULTRA FACIAL Take & How Soon Can I Wear Make-Up? The RF Ultra Facial only takes 60 short minutes! You can wear Make-up immediately after, if need be. You can resume most activities beginning immediately, except laying out in the sun. What is RF ULTRA FACIAL Used For? RF ULTRA FACIAL is healthier, safer, natural alternative to plastic surgery and injectables. It provides excellent for over-all skin rejuvenation. The RF ULTRA FACIAL refreshes your skin, delaying & even reversing the signs of aging. Your skin looks younger, softer and smoother. It also works well to protect younger skin. What is the Downtime with a RF ULTRA FACIAL? There is virtually No down-time. Every person's skin can react differently. You may appear light to medium pink for about 6 to 12 hours. If you have sensitive skin you could be more red for up to 24 hours. You can wear make-up immediately, if need be. There is minimal discomfort and customers may return to most routine activities You can discuss the optimal treatment level to suit your skin and lifestyle with your Esthetician. How Many RF ULTRA FACIALS Do I Need? The good news is; you can usually see nice results after only one treatment! If you want even better results or you have skin issues, this would require more than one treatment. For best results, clinical studies show that 4 to 6 treatments, spaced about 3-5 weeks apart, produce a gradual remodeling of dermal matrix components, until complete healing occurs and healthy tissue containing collagen and Elastin replaces old epidermal and dermal tissue. Over a period of 1 to 3 months, clinical improvement in dermal repair and positive skin changes. Fine lines & wrinkles will have been greatly diminished and your skin will be tighter and appear more youthful. Treatments for Stimulating Collagen Growth! The RF Energy Permeates to the Proper Depth Creating Collagen Formation. Collagen Plumps Fine Lines & Wrinkles, and Promotes Skin Rejuvenation for Younger Looking Skin in Only 60 Minutes! Schedule Your RF ULTRA FACIAL Today � You'll Love It!